Braces or stirrup (in Dutch) or braces in English, is the latest craze that spread in the middle teens Indonesia. Initially braces or more often called stirrup is one alternative to overcome the pattern of uneven teeth or accumulate. Uneven teeth patterns make it difficult for us in cleaning the leftovers in between teeth hidden, to improve the mechanism of chewing, digestion, speech in speaking. Tooth pattern will also cause a lack of confidence when meeting new people in our lives. You have problems with irregular tooth pattern or just to follow the trend? This question is important because the answer to this question will analyze the benefits and risks that will arise when you are wearing stirrup. True, there will be no dispute that if you decide to use braces or stirrup as a trend, but if so. You must know the negative effects that would arise Danger or adverse effects that arise after installing stirrup them, braces can damage tooth position. The bone that holds the teeth will be damaged and can make teeth shake. This is a big loss that can not be paid, because the tooth when it could not shake again. Some other effects that caused namely, pain when first using the stirrup. Cavities and tartar will quickly occur because not brush brushing and maintain oral hygiene. Not to mention the effect on network soft, especially on the lips and cheeks gums more easily arise gingivitis and canker sores. Do not just choose a doctor, from my observation, in Indonesia many practices mounting brackets that are illegal, including my own friends do it. Illegal practice here is intended mounting brackets by people who are just learning (not a dentist) and the stirrup pair dare open practice at a low cost. 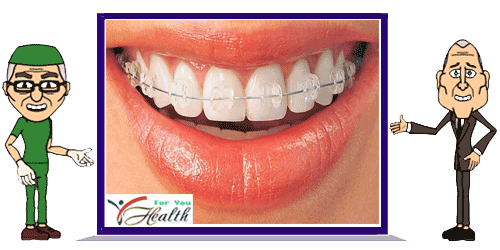 You should know also install the stirrup is not as easy as you think because installing the right stirrup require inspection process, photo composition and the mold gear teeth of patients to determine the correct position of the teeth that are in need of repair. Noteworthy install stirrup should be done by experts in order not to cause any side effects. Make sure you install the stirrup to the experts that particular dentist can pair the stirrup which orthodonti specialist.